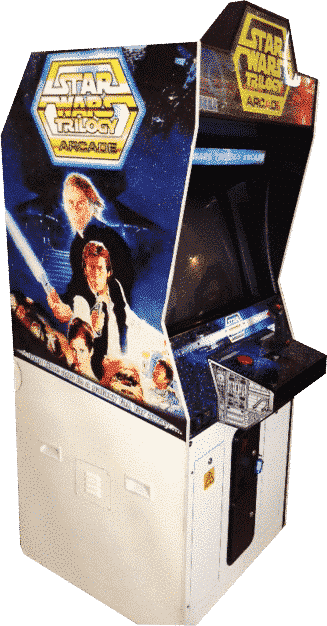 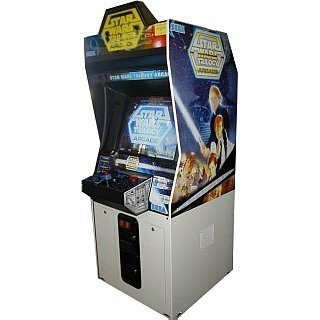 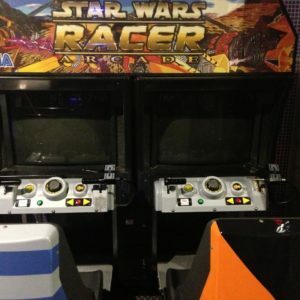 This arcade machine was first released in 1998, a 3-D rail shooter based on the original trilogy of Star Wars films, released alongside the special editions of these films. 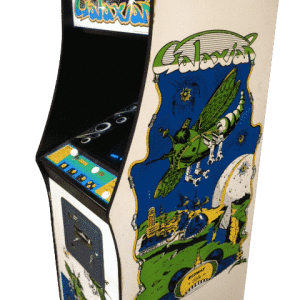 Gameplay involves the player moving a crosshair around the screen using a joystick and pressing the fire button on top of the joystick to shoot. 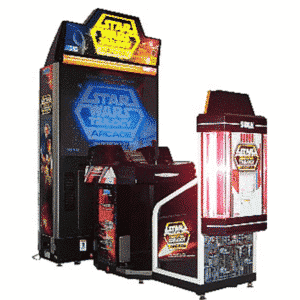 A “special event” button lights at certain points of the game and when pressed, triggers an event to happen onscreen. 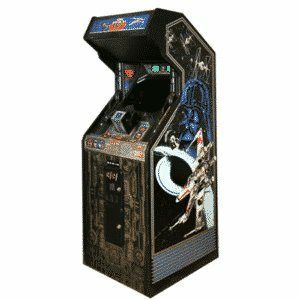 The game puts the player in several key battles of the Star Wars films with one mission for each original Star Wars film. 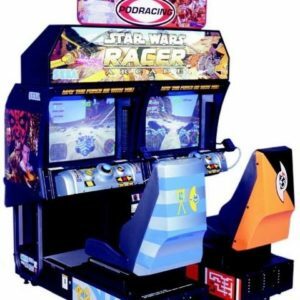 The game combines flight in several different vehicle types, first-person shooting, and a unique lightsaber mode. 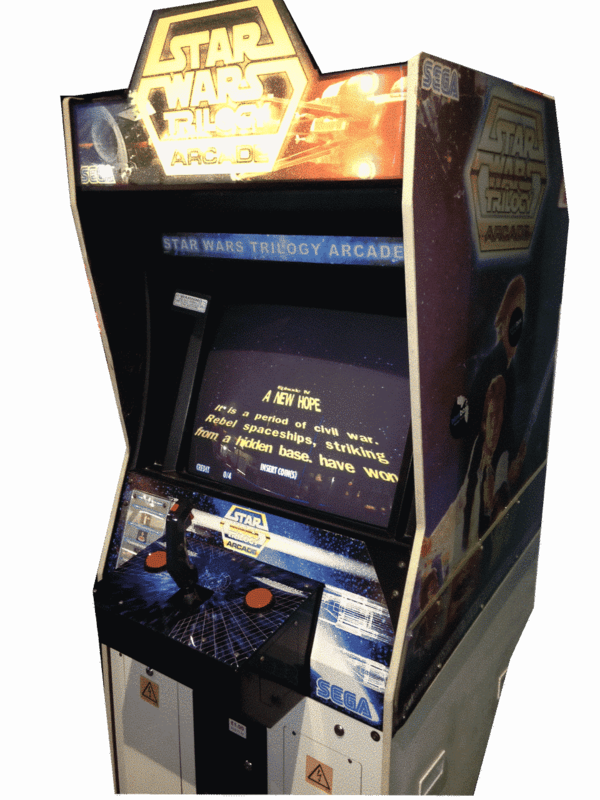 It uses several pieces of the original film scores, with some dialogue from the films, but most of it is re-recorded with impersonations of the original voices.